SoCalCycling.com has been the trusted source for Southern California & Western Region Cycling Event Calendars including the following cycling events: Bike Races, Fun Rides, Gran Fondos, CycloCross, Mountain Bike and Gravel Grinders. Please check back often as new cycling events will be added throughout the year. Come discover what the pros have known for years: the riding in Santa Barbara is incredible. Catalyst Coach Nate Wilson has been putting on camps for the US U23 National Team for years, and is bringing along Dr. Jim Peterman to answer all your physiology questions. The week is packed full with amazing riding, off-the-bike activities, clinics with tips, and every athlete will leave camp with an action plan to hit the ground running when they get home! Tour de Palm Springs is a CVSPIN-sponsored bicycle event designed to raise money for nonprofit organizations in the Coachella Valley. Each year the organizers hope to support more than 100 local charities with money raised. Palm Springs’ famous weather, gorgeous mountain scenery and thousands of bike riders, make the Tour de Palm Springs a fundraising event like no other! Palm Springs’ famous weather, gorgeous mountain scenery and thousands of bike riders, make the Tour de Palm Springs a fundraising event like no other! This is the 37th Annual version of this bucket list ride that features primarily rural routes in the Santa Ynez/Central Coast region. Three events in one! Come ride the scenic and challenging Malibu GRANFONDO on Saturday or stay for the weekend and ride the TWO-DAY Malibu GRANFONDO Complete Experience. Named “America’s 5-Star Gran Fondo” by Peloton Magazine, all events feature real food rest stops, pro-level support, timed sections, gourmet brunch, and unparalleled customer service. The THREE-DAY Malibu Invitational by Haute Route, March 15-17, is already sold out. The Saddleback Spring Classic Gran Fondo has a ride distance for you no matter what your experience or fitness level may be. You’ll enjoy the best of what Orange County has to offer while “Pedaling to Cure Pediatric Cancer”. All participants will get an amazing finisher’s medal and event T-shirt to memorialize your day, with an option to upgrade to a one of a kind event cycling jersey. The Campagnolo GranFondo San Diego is San Diego’s Favorite Bike Ride. This international event pulls cyclists from all over the globe, last year 23 countries and 50 states were represented. 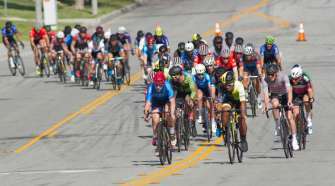 The ride begins in Little Italy with a Ferrari lead Mass Start for all cycling distances and finishes on San Diego’s Waterfront with a finish line party that includes a free massage, Italian catered lunch, live band and Beer & Wine garden. Joshua Tree 55 Bike Ride – P2P19 4th annual scenic bike ride through Joshua Tree National Park on Saturday, April 27, 2019. The ride will begin at Knott’s Sky Park in Twentynine Palms, continuing through Joshua Tree National Park and back to Knott’s Sky Park for a total of 55 miles traveled with SAG stops. Enjoy scenic views of Skull Rock, Cap Rock with turn around points at Cap Rock & Key’s View. The event is limited to 300 riders. Ready to test your endurance and strength? Breathless Agony is one of the most challenging centuries in Southern California: 107 miles and 12,000 ft of climbing over Oak Glen and Highway 38 to Onyx Summit! Join on April 27th for an epic experience. The Chico Velo Wildflower Century is regularly listed in Bicycling magazine as a Top Ten Century. It was first offered as an organized event in 1981. While the rain poured down for most of the day, about 60 riders slogged through to the finish. Today the Wildflower has something for everyone. As it has been from the beginning, our highest priority is to provide riders with the ultimate century experience. The Chico Velo Wildflower Century offers 7 different routes ranging from 12 miles to 125 miles giving riders of all ages and abilities and opportunity to experience the Wildflower. The Rosarito Ensenada Bike Ride began in 1979. It is an award-winning 50-mile bicycle ride along the Pacific Coast and inland through rural countryside from Rosarito Beach to Ensenada, plus a Finish Line Fiesta on the Ensenada waterfront with food, drinks and live music until sunset. The only Euro-style Spring Classic on American soil will once again proffer the same type of insanity, challenge and the unparalleled experience that has made the event infamous. The Canyon BWR attracts world-class cyclists from around the world. It has a cult following of fervent racers from cyclocross, road and mountain biking. 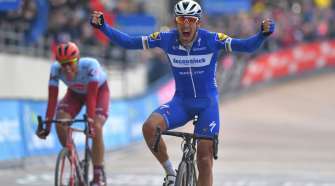 It’s known as much for its difficulty, with all the glorious trappings of the Belgian Spring Classics, as it is for the celebratory atmosphere that pervades the event’s every funky facet. The Tour of Long Beach is a cycling event supporting the Jonathan Jaques Children’s Cancer Institute at Miller Children’s & Women’s Hospital Long Beach. Come out and join the National Psoriasis Foundation and Team NPF Cycle for our 4th annual event at the beautiful Silver Stand State Beach in Coronado! The 10 mile route is supported and completely on bike paths, so bring your future cyclist out to join you! Join us on May 18, 2019 for the 13th Annual San Diego Century! Take on one of three beautiful courses for a challenging and rewarding cycling experience on San Diego’s most scenic routes of 33, 67 or 102.5 miles. It’s not just a ride, it’s a movement for safer streets in California. It’s a life-changing ride—not a race—through some of California’s most beautiful countryside. AIDS/LifeCycle is co-produced by the Los Angeles LGBT Center and San Francisco AIDS Foundation and is designed to advance their shared interest to reduce new HIV infections and improve the quality of life for people living with HIV/AIDS. Fully supported, 7 day, 545-mile bike ride from San Francisco to Los Angeles. The Anti-Cancer Challenge is a community movement to raise awareness and funds for the Chao Family Comprehensive Cancer Center at UCI Health. When you ride, walk or volunteer, you move us one step closer to finding cures for a disease that touches us all. 100 percent of event proceeds go directly to lifesaving cancer research at the UC Irvine Chao Family Comprehensive Cancer Center. Your participation in the Anti-Cancer Challenge will help us make the next discovery. With so many breakthroughs in sight, the time to act is now. The Giro di San Diego Granfondo is a Challenging Ride that will take you to the heights of Palomar Mountain if you choose the Granfondo Mesa Grande 105 Mile Ride, or Granfondo Palomar 67 Mile Ride. The Giro is known for having challenging and picturesque routes, outstanding ride support, delicious food on course and a post-ride party with an included Lunch, Free Massage, and a Beer & Wine Garden! The Ride Benefits Challenged Athletes Foundation. The Ruta del Vino Bike Ride & Wine Festival combines a world-class cycling event that tours the Guadalupe Valley, along with a wine festival that pairs the region’s best winemakers with award-winning local chefs. Tour de Big Bear is pleased to invite you to the 10th annual ride in the Mountains. This is Southern California’s most scenic and challenging high altitude ride in Big Bear Lake! Escape the summer heat and ride spectacular 10k, 25, 50, 70, and 107 mile stages at 7000’+ with cycling amenities that other rides can only copy! Ride the iconic Highway 1—from San Francisco to Los Angeles among waves, woods, and wineries—fully supported at your own pace. Hotel it or camp with friends and support the Arthritis Foundation by joining us for our 19th annual tour. Register today for the Ride of a Lifetime with code SOCAL to save $25. Join us for the 10th annual Riverside Citrus Classic! With 4 course options, there is something for everyone. Rides consist of 100, 50, 28, & 7-mile routes which include bike paths, bike trails and scenic highways in and around Riverside, including historic Victoria Avenue and the Santa Ana River Trail. Longer routes go through Redlands, Yucaipa, San Timeteo Canyon, & Lake Perris. All proceeds go to benefit educational programs for students in RUSD. You can wear the badge, “Gila Proven,” after you have joined us at this year’s Gila Monster Gran Fondo on October 19, 2019, in the gorgeous cool mountains of Silver City, New Mexico. The courses; 111 miles, 77 miles or 41 miles; follow the iconic Tour of the Gila “Gila Monster” road race, covering some of the most stunning routes in New Mexico. From the amateur and recreational cyclists to those avid cyclists, the Gila Monster Gran Fondo is fun yet has a competitive edge. The Dino Dash Bike Tour offers a scenic, relaxed ride in central Orange County. A 50k bike tour goes through Santiago Canyon, while the 15k offers a shorter ride on city streets, and a 5k fun ride offers a route on closed streets – great for kids! All riders receive a black tech shirt and finisher medal. Disclaimer: The information provided on this site is strictly for informational purposes only. 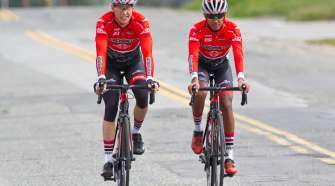 SoCalCycling.com is not affiliated with any training rides or events and is not responsible for any injuries or death to any rider or damage to their bicycle for any reason. Ride at your own risk. Cycling carries a significant risk of personal injury or death. DO NOT participate in riding a bike, any rides or events unless you are knowledgeable about the risks involved, and are willing to assume personal responsibility for all risks associated with these activities. Please observe all applicable traffic laws, wear a helmet and conduct yourself in a safe and prudent manner while participating. Copyright © 1995-2019 SoCalCycling.com. All Rights Reserved.